On our bike tour from Weimar to Wielandgut in Oßmannstedt, we pass the Renaissance palace Kromsdorf. Curious, we turn into the garden of the palace. Around 60 stone busts look at us. What might be the meaning of these busts? 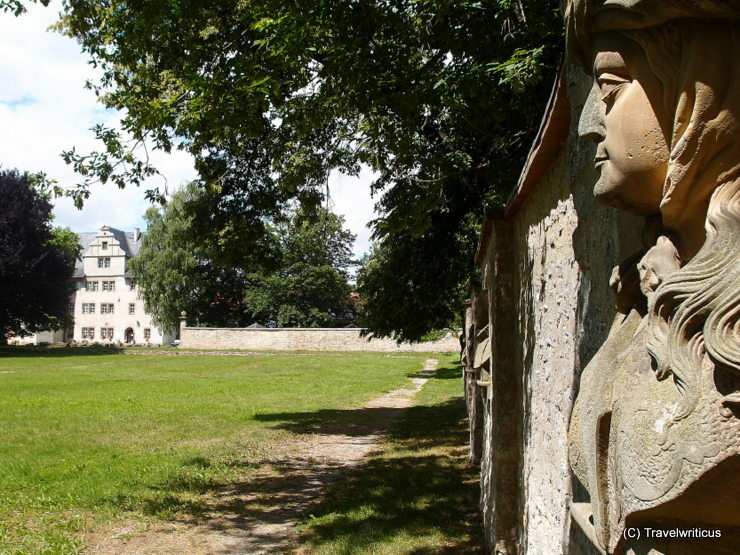 This entry was posted in Gardens, Palaces, Renaissance and tagged Germany, Kromsdorf, Thuringia by Travelwriticus. Bookmark the permalink.